The two most important settings are Permissions and Categories. 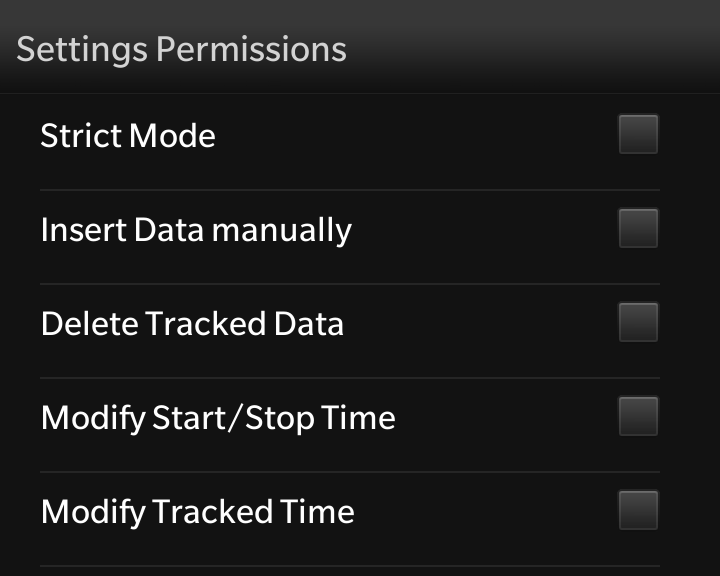 Strict Mode: if unchecked, you’re using the Free Mode, which means you can decide what times to track. Strict mode requires to start the working day, track all times the day until the end of day. If unchecked, tracked times can only be tracked (free or strict mode) – there’s no other way to enter data. Only if ‘Insert Data manually‘ is checked, there will be an Action to ‘Add‘ Times from List of ‘Open‘ Tracked Times. Not all colors are looking same on dark and bright themes. Here I’m using yellow on dark and magenta on bright themes. HowTo create such bars ? It’s easy with QML. Take a look at UX Highlights. Manually inserted data will also be marked inside the data sent to dispatcher, IT Admin or group manager. If checked, Users can remove items from the list of tracked data. 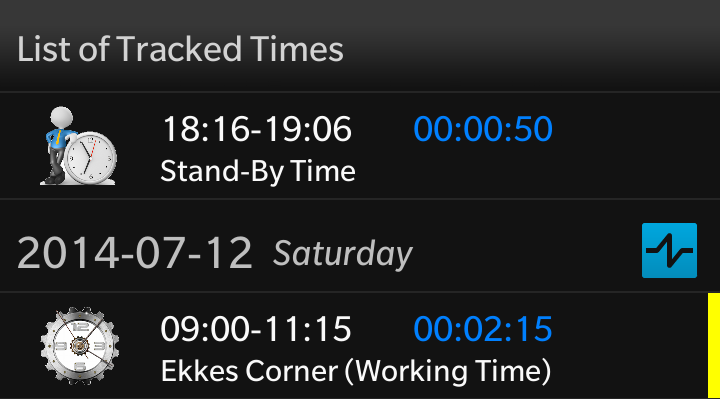 At Start or Stop TimeTracker always used the current time from System. 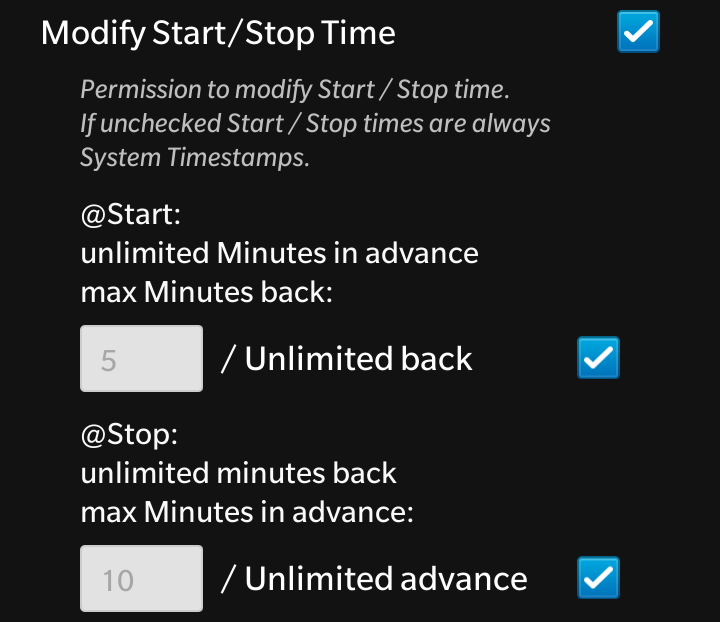 If ‘Modify Start/Stop Time’ is unchecked, Users can only accept the System Time. If there’s the permission to modify tracked times they can change it later and modification is documentated. 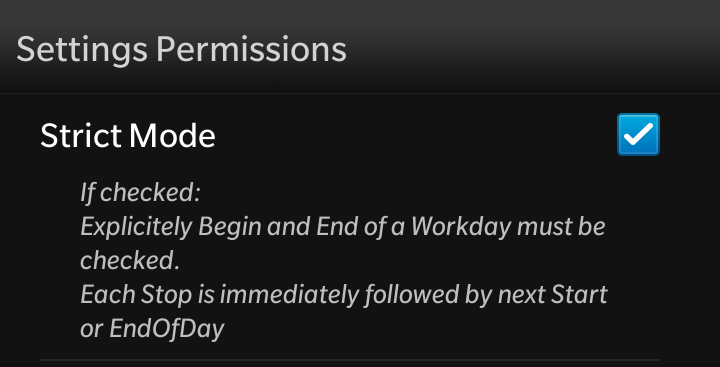 There are different permissions to allow modifications at Start and/or Stop. @Start it’s no problem to change the time into the future. (It’s 10:55 and User changes to 11:00) Going back (per ex. 10:30) permission can be set unlimited or you can set a maximum. Same @Stop where you can go back with no limitations, but moving time forward can be unlimited or have a maximum of minutes. 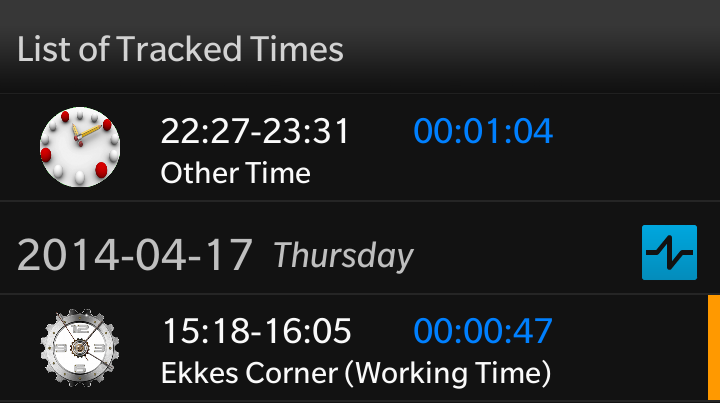 TimeTracker stores modification timestamp, so Dispatcher or Admin can see that this item was modified. Posted on 2014/07/11 2014/07/14 by ekkescorner	This entry was posted in Settings Details. Bookmark the permalink.